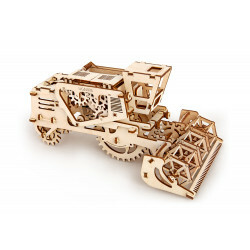 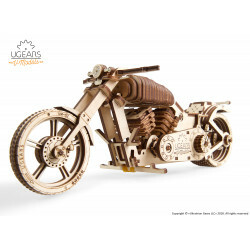 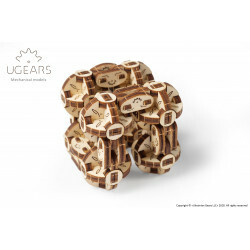 Ugears Models are high level сonstructors: a delightful idea, top quality mechanism, indelble impression! 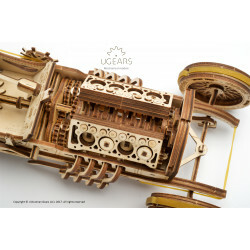 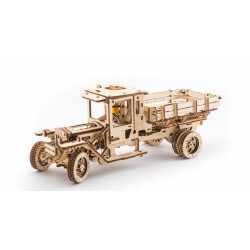 Build your first Grand Prix Car: powerful and exquisite mechanical model by Ugears. 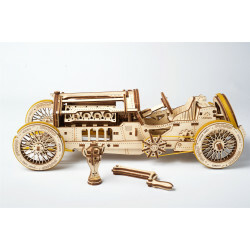 Start your "wheel to wheel" battle, fill your life with the roar of engines. 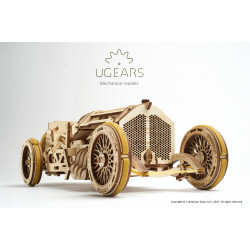 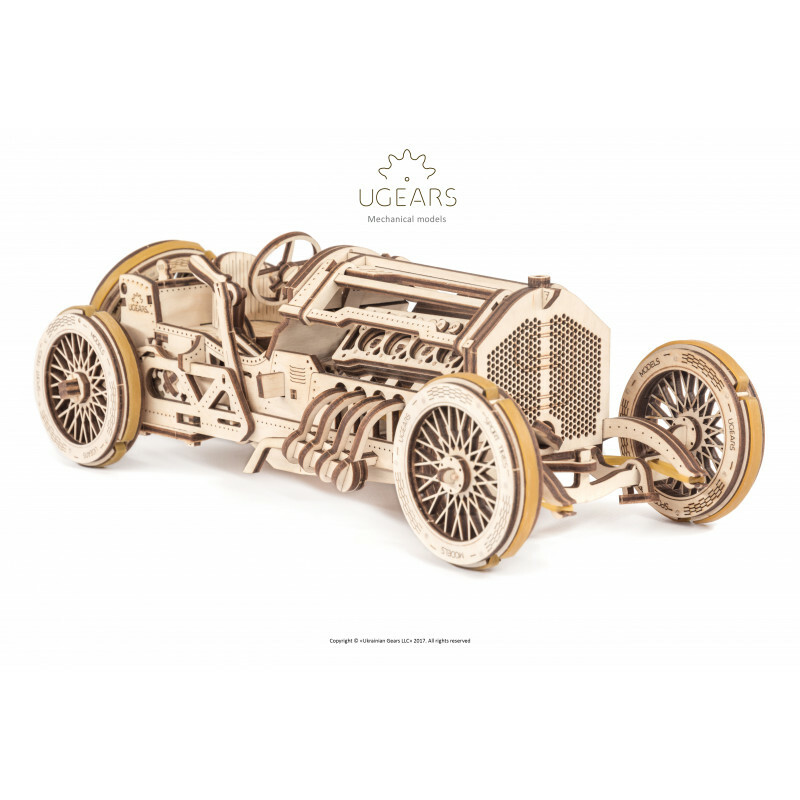 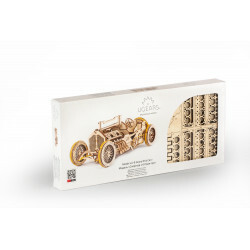 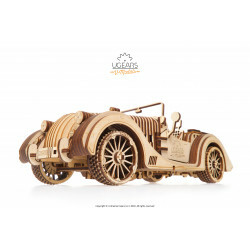 Ugears U-9 Grand Prix car fully repeats the features and iconic design of the Mercer 35 Raceabout car - the winner of Grand Prix races. Under the hood of this model you will find a V8 engine equipped with a powerful fan and 16 fully functioning valves. 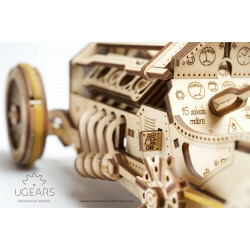 To wind it up just use the hand crank in its front. 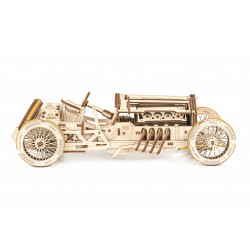 Your new vehicle has a link rod and a transmission. 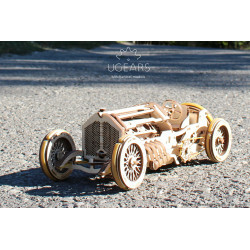 The U-9 has a spring-suspended fork and rubberized wheels ensuring smooth but rapid acceleration and a long driving range. 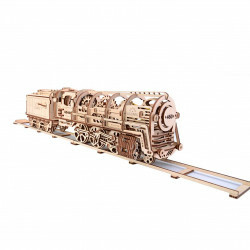 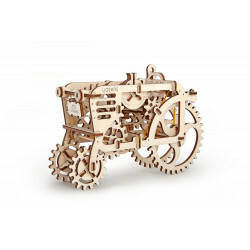 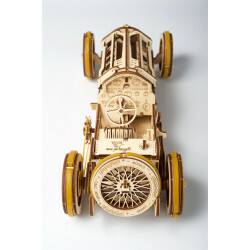 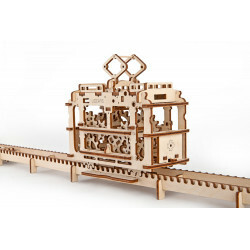 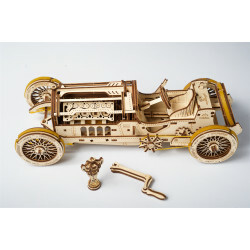 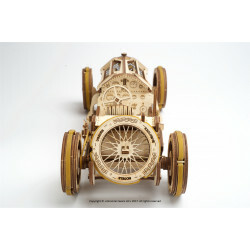 This wooden car is equipped with sport wheels and moves like the true champion of retro racing.